UPDATE: Sky Sports News HD launches on August 23 | What Hi-Fi? Sky Sports News will launch its high-definition service on August 23rd, following the withdrawal of the Sky Sports News channel from Freeview. It will be subscription-only on Sky and Virgin Media. Sky Sports News will no longer be shown on Freeview after Sky announced the channel is to become subscription-only. 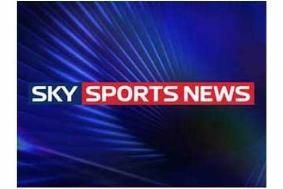 Sky will also be launching a new Sky Sports News HD channel. BSkyB, which launched Sky Sports News on Freeview in 2002, is to replace the channel with a one-hour-timeshifted Sky 3 +1 service later this year. Sky Sports' managing director, Barney Francis, said: "As part of a subscription service, customers can look forward to expanded coverage and the launch of Europe's first HD sports news service." The move looks to signify a change in approach for BSkyB, which previously saw the benefit of a free-to-air channel for introducing the Sky brand to a wider audience, while also picking up increase ad revenue. BSkyB will keep its presence on Freeview when it rebrands the Virgin 1 channel as part of its takeover of Virgin Media TV.